Slovenia is a small quaint country sandwiched between Italy, Hungary, Croatia and Austria. Be it the capital, Ljubljana or the Adriatic coastline; the Julian Alps or the lovely lake Bled, Slovenia is as diverse as the essence of being of humanity. The crisp Karst plateau ciphered with caves or the Maribor form a major attraction here. Slovenia is one of those places where you can experience the seasons in proximity with nature. There are only a few places in the world where one can experience quadruple seasons in full flow. What better way to explore Slovenia than on flow with the seasons. Here is a brief idea of what you can expect during the four seasons at Slovenia. Slovenia is considered a haven for adventure junkies. It is a sought after global destination for those interested in Alpine Skiing. The slope of the Julian Alps is perfect for winter sports, especially skiing. No trip to Slovenia is complete without experiencing the rush of Alpine Skiing on the slopes of the Julian Alps. Spring is all about the finer things in life in Slovenia. Wine tasting, gastronomical escapades and adventure await you when you travel to Slovenia in spring. Whether it is paragliding or gorging on food in Logarska Dolina or a guided food tour in Ljubljana, Slovenia is a beauty when it comes to simplicity magnified. Do not miss out on guided farm tours when you are in Slovenia during the spring time. Slovenian summers are made for absolute bliss. Whether it is a cruise along Slovenne Riviera or the pristine coastlines of the Adriatic, Slovenia is a wonder. Do not miss out on the seaside delight that is provided by the city of Piran. Summer brings with it the Izola Fish festival. The salty spa treatments at Secovlje are also recommended. Autumn is the harvest season and it is about virgin wine in Slovenia. The Vipava valley and Goriska Brda is a must visit in autumn. You can meet some of the pioneers of orange wine making here in Slovenia. What better way to explore Slovenia than on flow with the seasons. 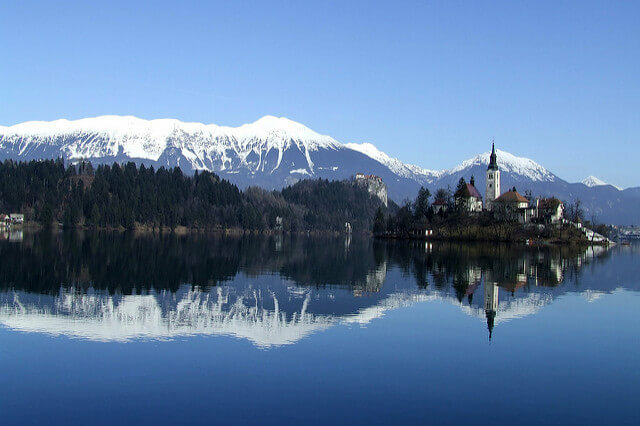 Here is what you can expect during the four seasons at Slovenia.